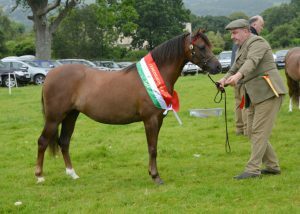 126 CROSSFIELDS DANNYBOY 90834, Chestnut, Sire: Gwenllan Madoc Dam: Leyswick Glamour Girl Owner Mr D Dykes & Miss J Nicholson. 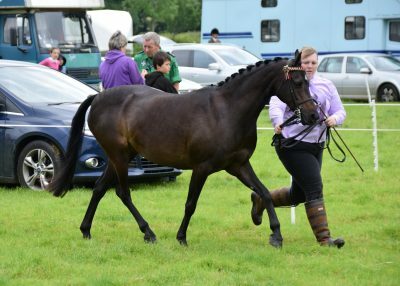 CLASS 42 LEAD REIN – OPEN TO REGISTERED SECTION A OR B MARES OR GELDINGS, 4 YEARS OLD OR OVER NOT EXCEEDING 12 HH (122 CMS). 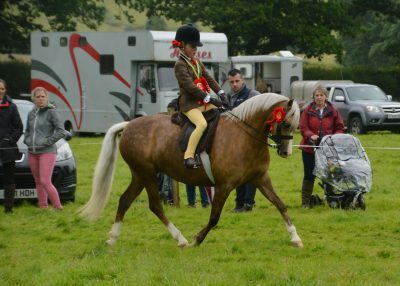 CLASS 43 FIRST RIDDEN – OPEN TO REGISTERED WELSH SECTION A OR B, MARES OR GELDINGS 4 YEARS OLD OR OVER NOT EXCEEDING 12.2 HH (128CMS). 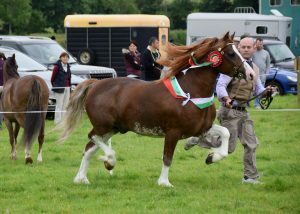 CLASS 44 REGISTERED SECTION A OR B NOVICE STALLION, MARE OR GELDING, 4 YEARS OLD OR OVER. 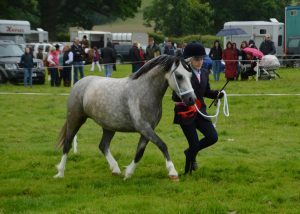 CLASS 45 REGISTERED SECTION C OR D NOVICE STALLION, MARE OR GELDING, 4 YEARS OLD OR OVER. 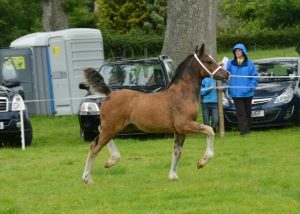 CLASS 48 REGISTERED SECTION C STALLION, MARE OR GELDING, 4 YEARS OLD OR OVER. 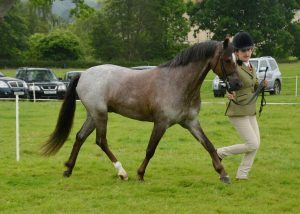 CLASS 50 REGISTERED WELSH PART-BRED STALLION, MARE OR GELDING, 4 YEARS OLD OR OVER. 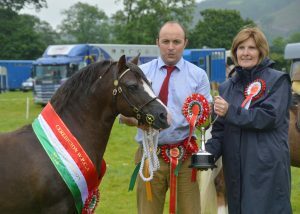 The Overall Supreme Champion will receive The Ceredigion Perpetual Trophy sponsored by Ceredigion WPCA for the best exhibit of the Show together with £150 kindly Sponsored by Gwilymparc Stud. 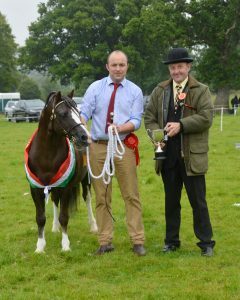 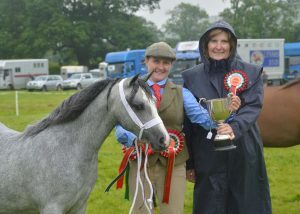 The Reserve Overall Supreme Champion will receive £75 kindly Sponsored by Aberaeron Festival and the Nebo Stud Perpetual Challenge Cup presented by the Jones Family. 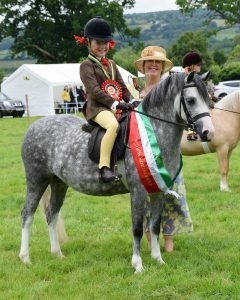 Rosettes and Sashes Kindly Sponsored by Ms M. Lloyd, Willow Brook.